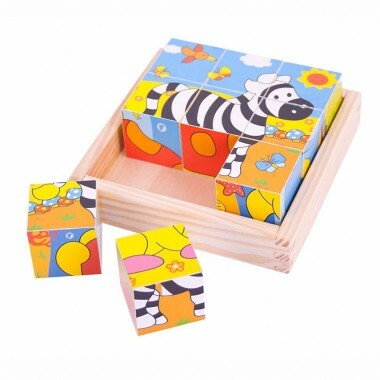 Six puzzles in one toy! 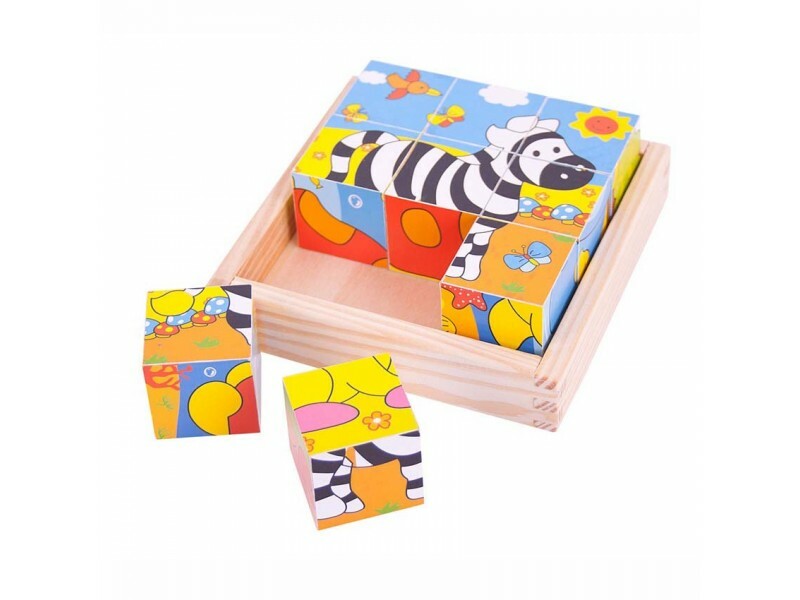 This lovely wooden cube puzzle has nine colourfully decorated cubes that will form six safari animals when arranged correctly. 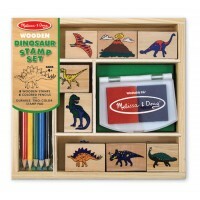 These puzzles are brilliant fun and wonderful developmental toys. I didn't get what I ordered. 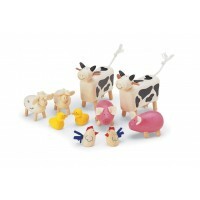 I received a farm puzzle which I don't suppose my 16 month old grandson will be upset by but his nursery is safari themed. Lovely little jigsaw and quickly delivered.